Instant Pot Vs Air Fryer Rotisserie Chicken. Imagine you love both the Instant Pot and the Air Fryer and you want to start making rotisserie chickens at home. You have just one spare whole chicken to do it with. What do you choose? Let RecipeThis.com help you decide between the Instant Pot vs the Air Fryer. It is delicious, and you can buy it at the supermarket as a Portuguese take on a rotisserie chicken. Even though I like it a lot and have had a fair few of them, I am ultimately a do it yourself kind of girl and love to cook my own chickens. I have 4 main ways that I love my whole chicken. It is either in the Air Fryer, the Instant Pot, the Dutch Oven or in the Slow Cooker. All of them work well. But the Instant Pot and the Air Fryer are the easiest. But out of those 2 which one is best? The hype around the Instant Pot often involves speed. People that use Instant Pot pressure cookers are not always about being healthy. After all, most of us have made cheesecake in the Instant Pot at some point. We want this miracle of life that puts dinner on the table with a couple of minutes of cooking time. Those chicken breast dishes that take just 3 minutes to cook. Or that condensed milk that turns into caramel in just 40 minutes compared to 4 hours, or the 30-minute baked potatoes. It all has speed in common. So how long are we talking when we cook Instant Pot Rotisserie Chicken? You are talking just 22 minutes of cooking time and about a minute to prep your Instant Pot Rotisserie Chicken. That is, it. The Air Fryer is known for one thing, something that really throws the Instant Pot out of the water and makes the Air Fryer the top dog. That is the fact that the Air Fryer works like a deep fat fryer and you have chicken that is so crispy you would think the fryers at KFC had cooked it. But it has not been near a deep fat fryer. It has just been air fried and the amount of oil used for a whole chicken has been just ONE tablespoon of olive oil. That is just 123 calories of oil. We ended up testing the Instant Pot Vs Air Fryer rotisserie chicken because we were recipe testing for both of them on the same day. We ended up chatting and comparing notes and saying which tasted better than the other. It was like watching an episode of Ready Steady Cook and shouting out RED TOMATOES or GREEN PEPPERS. We took a quick picture to see how they looked and it is amazing how different they look when they are side by side. The Instant Pot Rotisserie Chicken – The coating on it looks more like a traditional rotisserie chicken that I would buy. The Instant Pot Rotisserie Chicken – What is not taken into account in a lot of Instant Pot recipes for rotisserie chicken is how long it takes to come to pressure. If you take into account this time, it’s not as fast to cook as you would think. The Instant Pot Rotisserie Chicken – Think of it like a slow cooker rotisserie chicken on speed. It is more than 80% quicker to cook and tastes just the same. It is cooking in some of its stock, making it the most flavoursome. The Instant Pot Rotisserie Chicken – You can also think of the Instant Pot as producing a Sunday roast for you. At the same time as cooking the rotisserie chicken in the Instant Pot, you could also cook potatoes and vegetables. The Air Fryer Rotisserie Chicken – Is crispier and has a BBQ look on it rather than looking like it has been air fried. A bit like how your fella or your dad would cook it for you. Instant Pot Vs Air Fryer Rotisserie Chicken – It would surprise most people to know that they have had a very similar marinade and brining process. One was via a homemade rub and the other was a paid organic one. Instant Pot Vs Air Fryer Rotisserie Chicken – Another surprise would be the timings. We prepped and put the Instant Pot rotisserie chicken on first. Then we prepped the Air Fryer Rotisserie Chicken and put this on second. The Instant Pot which is known for speed was only cooked 90 seconds BEFORE the Air Fryer version. Instant Pot Vs Air Fryer Rotisserie Chicken & the WINNER IS? Kyle was at school when we had the first batch for lunch (yeah more for us parents). Therefore, he didn’t taste it warm, but he still had his own opinion when he got home from school at we ate the remainder for dinner. Both myself, Dominic and Kyle ALL voted that the crispy Air Fryer version wins hands down. That it’s a miracle that you can cook a juicy, moist rotisserie chicken in the Air Fryer in just 40 minutes with 1 minute of prep time. The Instant Pot comes in second. Even though it was very moist and easy to make, it lacks the crispy coating that an Air Fryer can bring to it. Serve up an Air Fryer rotisserie chicken and people will truly believe that you cooked it on the BBQ. I would still cook it in either the Instant Pot or the Air Fryer. The Air Fryer if I am looking for an authentic rotisserie chicken and the Instant Pot if I want a Sunday dinner theme. I do not wish to hear from you as in Australia Text Messages are coming through at ridiculous hours such as 2.00am. Sorry to hear that. You must have subscribed to our notifications through your browser. What you need to do is click on the secure word which in chrome is next to our website address and then you need to click block for our website. We cannot unsubscribe you from the notifications ourselves because it has been done through your browser and we do not have access to that. 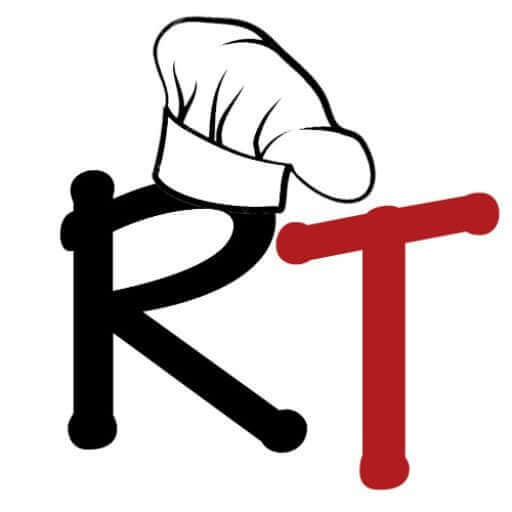 If you do not have chrome browser then you need to look on your browser for content and then find our website recipethis.com and block us that way but each browser has different ways of blocking.